Were you sad to see the not-too-fancy “regular” Samsung Galaxy S6 getting no love when it comes to reviews and tests? Worry not as we are sharing with you a video that tests the Galaxy S6 for scratches, drops, bend, fire, and more! While Samsung Galaxy S6 edge might be all curvy and fancy, it is quite likely that the regular S6 will still see more sales considering the comparatively low price tag. There have also been analysis that claim that the edgy trend will die soon. We expect better from the dual-curved smartphone from Sammy but let’s focus a little on the beautiful Galaxy S6 as well. Samsung created the latest Galaxy S6 duo with metal and glass. 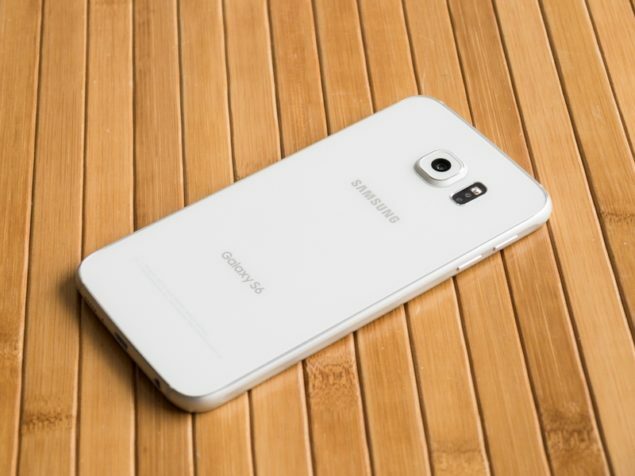 This is the first time that the flagship Samsung Galaxy is featuring premium materials and coming in a unibody form. Considering the rather fragile combination of metal and glass (that is covering the flagship from front and back), users have been waiting for the Samsung Galaxy S6 bend test along with of course the drop and scratch tests. It also needs to be said that the latest Samsung Galaxy S6 duo does so great in these tests, especially when compared to iPhone models, because Korean tech manufacturer has used a grade 6013 aluminum alloy for the casing which is much premium against the iPhone‘s rather inferior grade 6063. According to tests, 6013 is actually 1.5 times stronger and 1.2 times scratch-resistant than the 6063 grade used in the iPhone 6 and the 6 Plus.